The above info came from Tiffany Pradaxay, and was edited by yours truly (contact me). Yuuno Scrya is a mage from a distant world. He was fighting a monster possessed by a powerful source known as a Jewel Seed. Yuuno winds up on Earth in the form of a ferret. Nanoha Takamachi is an ordinary 3rd grader who finds the injured ferret in a park and takes him to the vet. At night, she heard a telepathic cry from Yuuno asking for her help. Nanoha soon finds the monster and it was attacking Yuuno. He gives her a magical crystal called Raising Heart. After Nanoha defeated the monster, Yuuno tells her there are 21 Jewel Seeds in total. 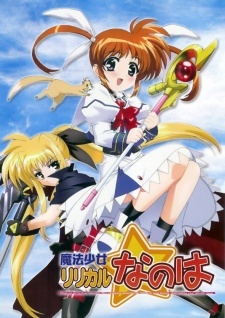 When Nanoha tries to seal the Jewel the 4th time, a mysterious girl named Fate Testarossa tries to prevent Nanoha from reaching her goal. The above description came from Tiffany Pradaxay, and was edited by yours truly (contact me).